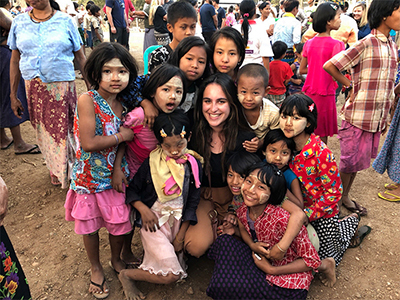 Junior Hannah Stein enjoys some time with local children in Myanmar. ITS is at its heart an interdisciplinary approach to studying the world. We believe that most global problems and issues are too complex to be understood through a single disciplinary perspective. Students therefore take a series of courses from many academic departments. They learn about the world through a multiplicity of lenses. All of our students study abroad as a necessary means of learning how to operate effectively in a different cultural context. "We strive to give students a solid liberal arts background in conjunction with an international emphasis and foreign language skills."